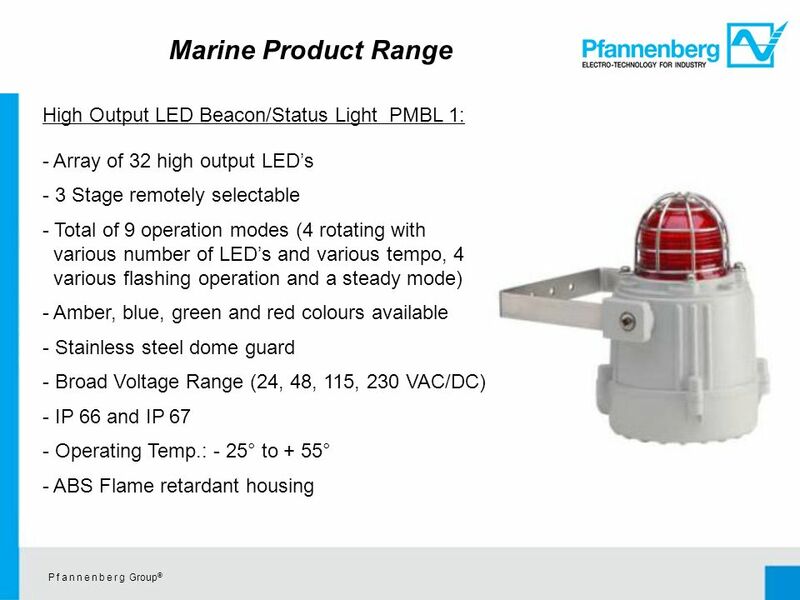 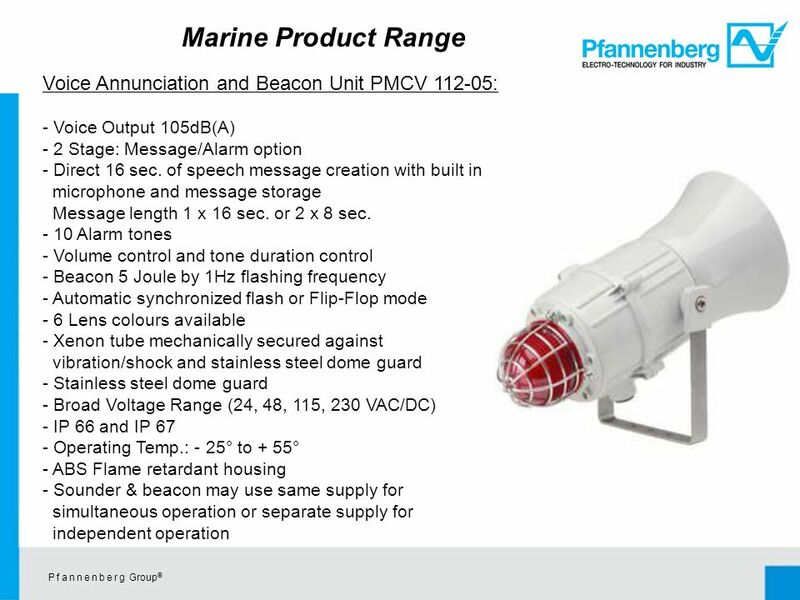 P f a n n e n b e r g Group © Since 2008 company Pfannenberg introduced a new Range of Alarming Products, as so called Marine Range. 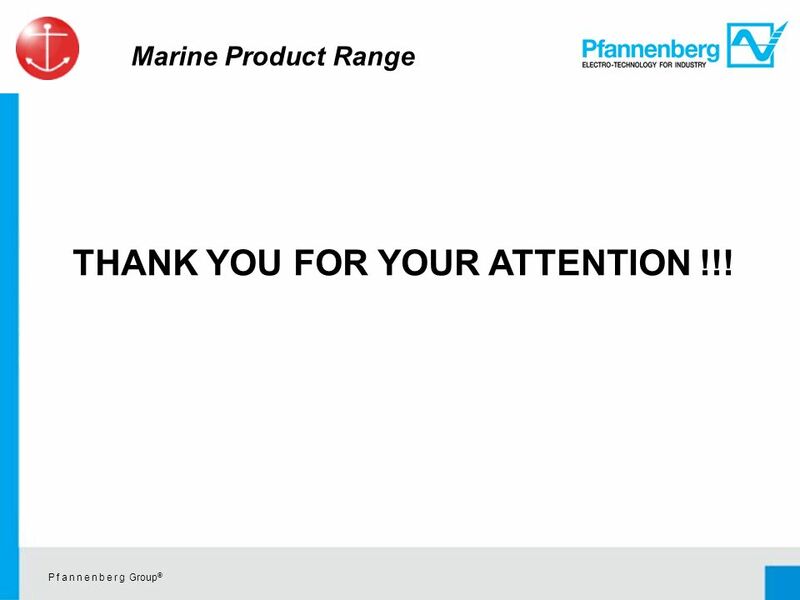 The main characteristic. 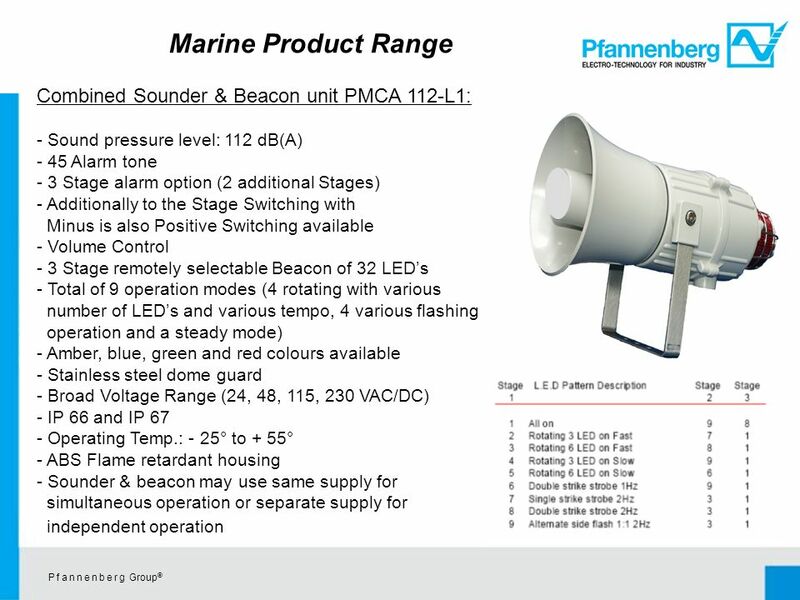 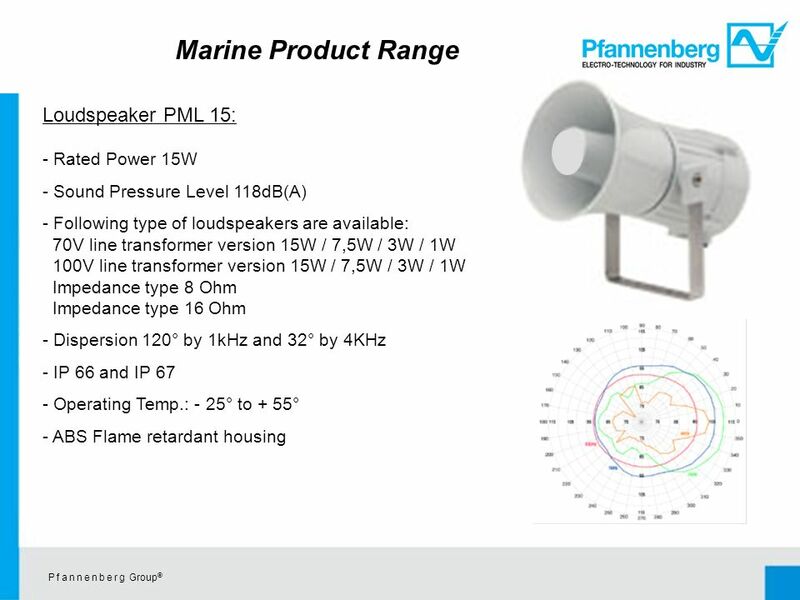 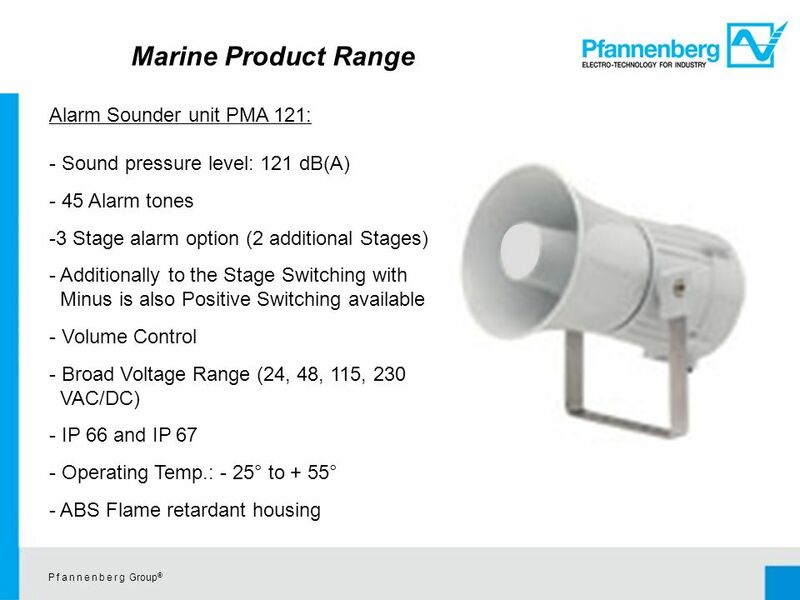 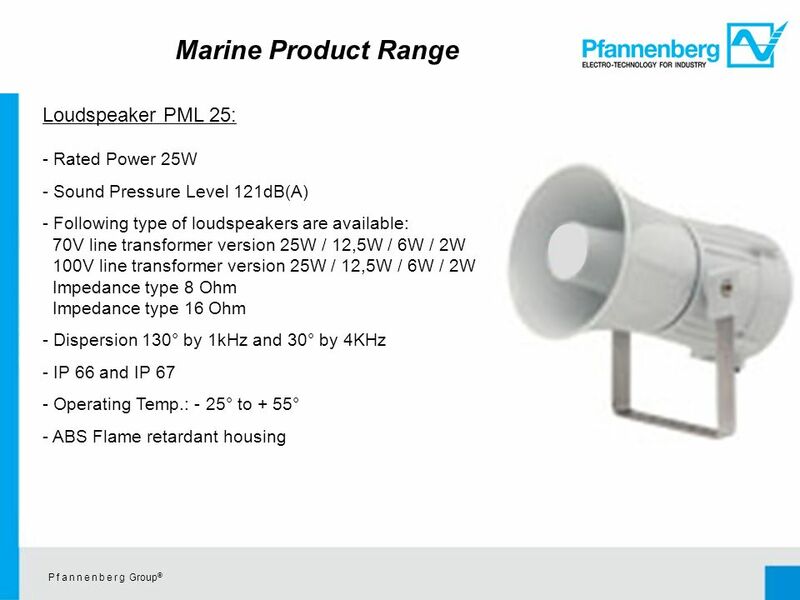 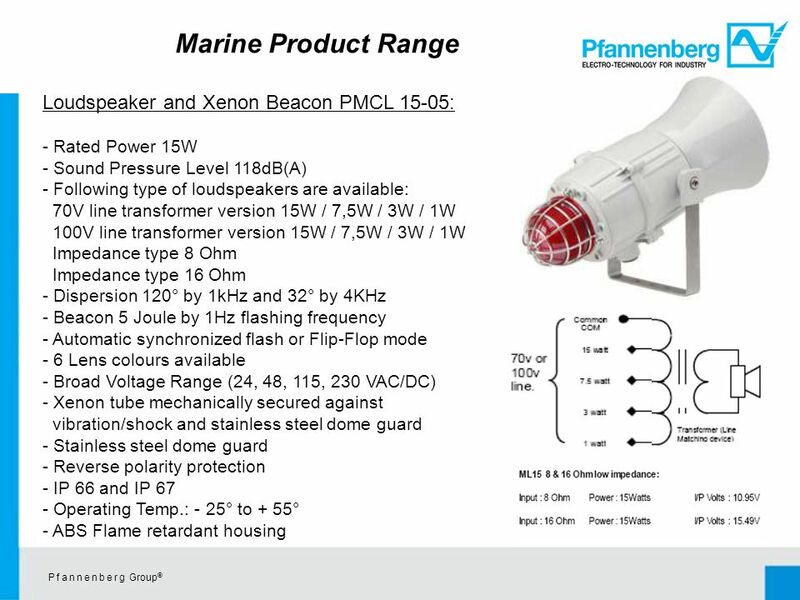 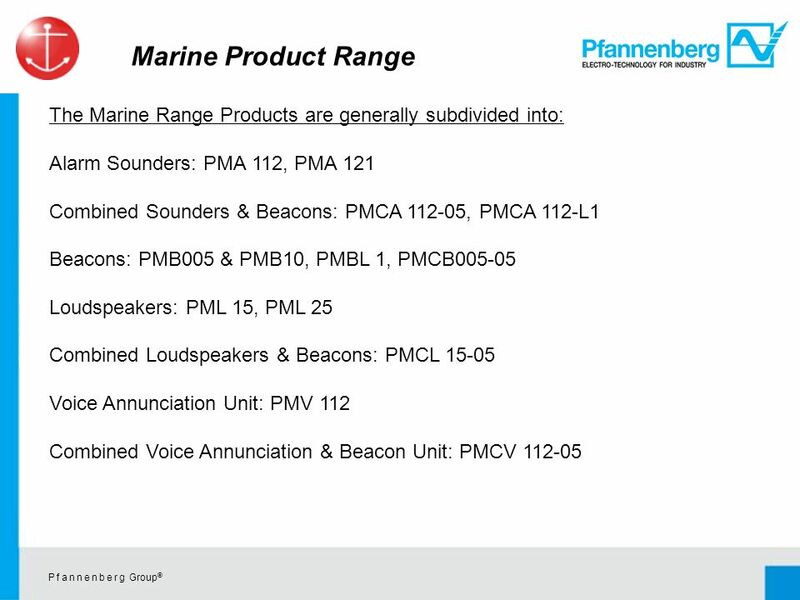 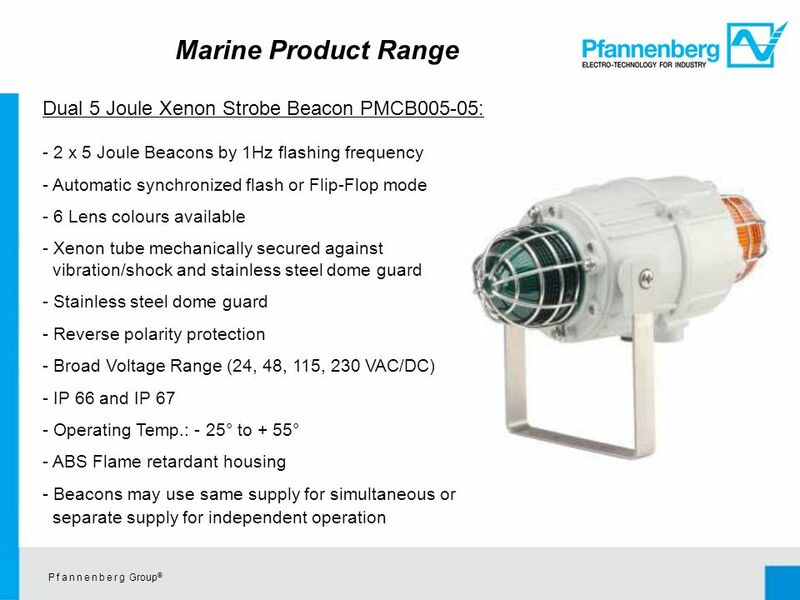 Download ppt "P f a n n e n b e r g Group © Since 2008 company Pfannenberg introduced a new Range of Alarming Products, as so called Marine Range. 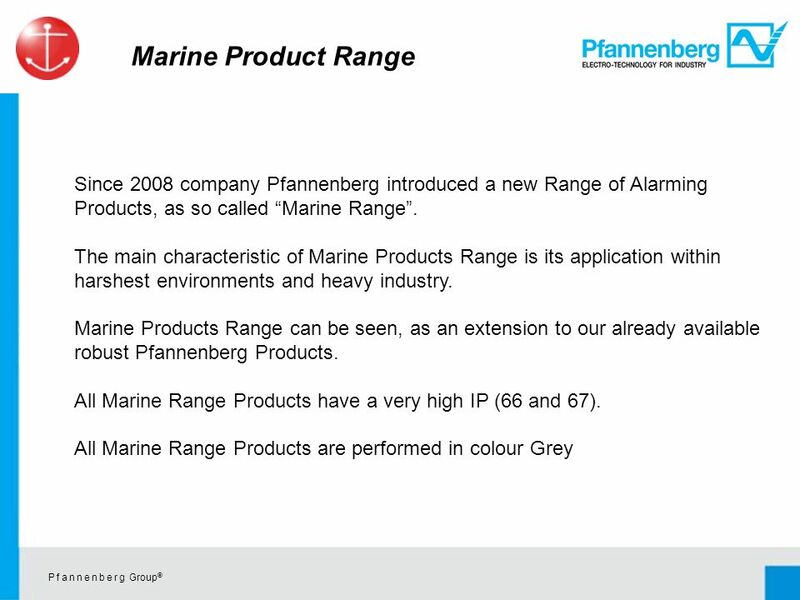 The main characteristic." 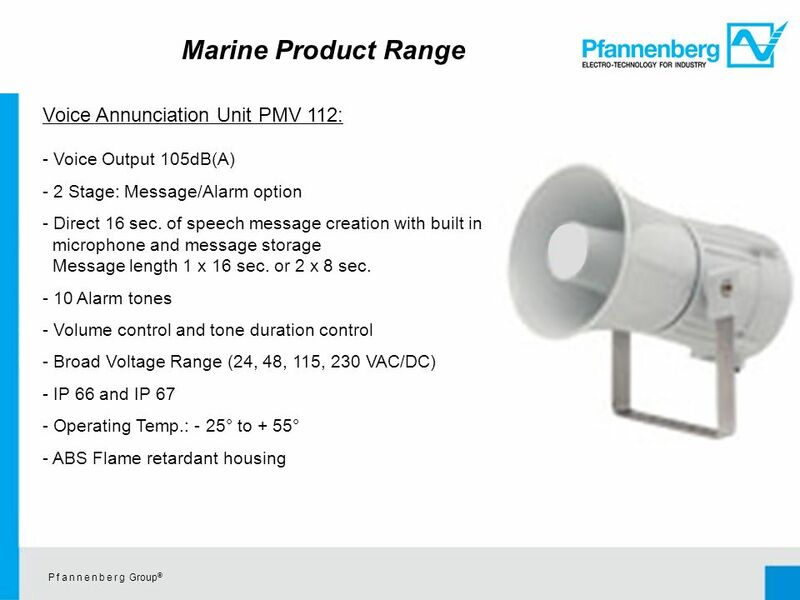 STMicroelectronics 1500V MOSFET based DEMOBOARDS MPA Systems Lab – Power Supply Team. 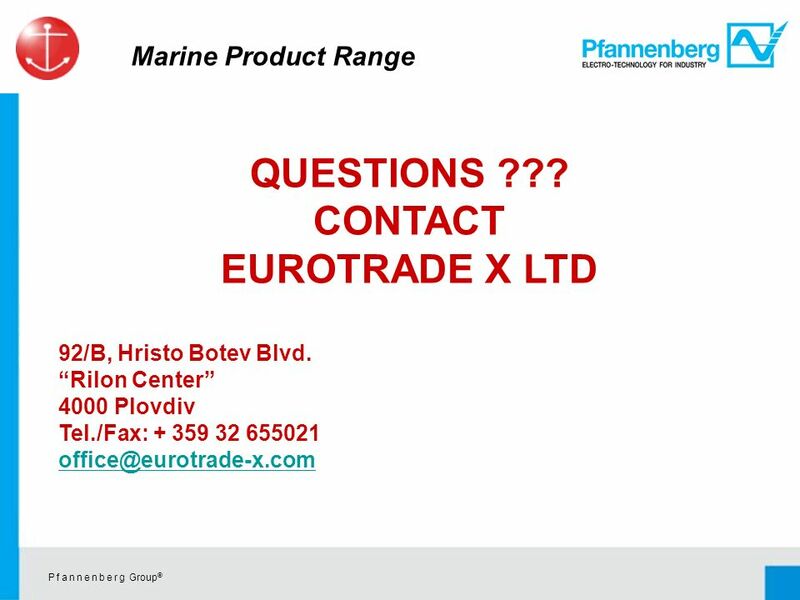 th Ave NE, Marysville, WA 98270, USA Robust Stabilized CO 2 Lasers with Line Tracker Access Laser Company where. 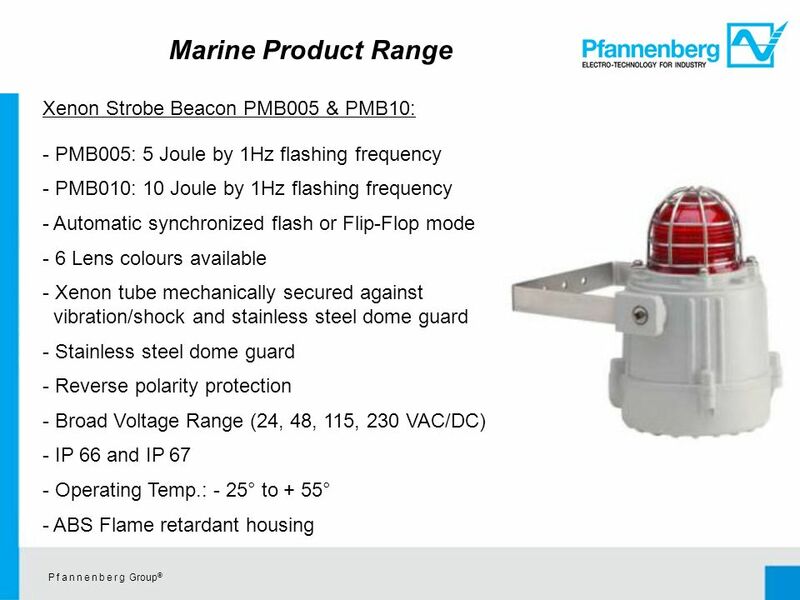 Druck- und Temperaturmesstechnik Testing Procedure MH-2 Mobile Hydraulic Testing Procedure 1 Pressure Transmitter MH-2. 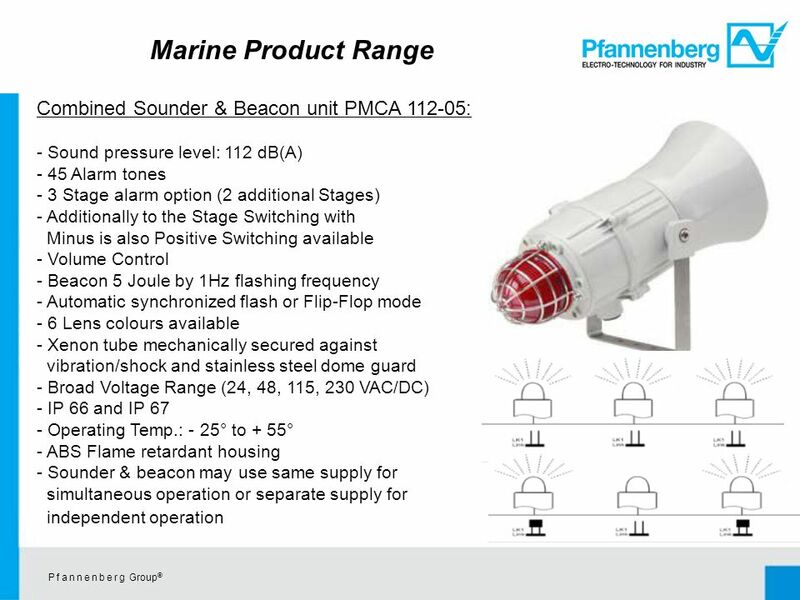  Salient characteristics / Approvals  Non-illuminated Switches  Illuminated Switches  Pilot Lights  Contact Elements Control & Signalling Devices.